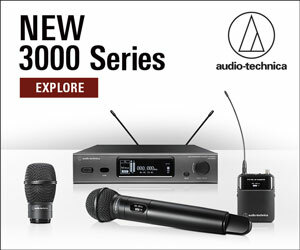 If you have been waiting to switch over to an in-ear-monitoring system because either A) the systems available were complicated and difficult to set up and run for the musician who knows how to set up a basic PA but not much else about audio or B) they were just too expensive, then it is time to stop waiting. There have been some fairly inexpensive in-ear systems out there but they have been OK at best. 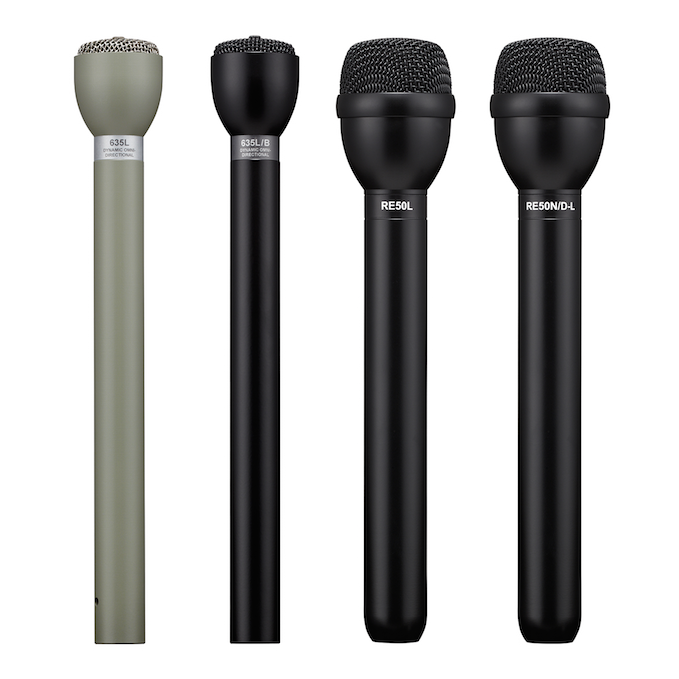 The Shure PSM 300 is designed from the get go with musicians in mind and it is priced at a level that… Well, let’s put it like this…both of the working players we had give the system a spin bought one for themselves. Without hesitation. The PSM300 comes in a couple of different configurations but you need to ignore the low-end one and just go straight to the configuration called the P3TRA215CL. It’s a mouthful, but all you need to remember is that it includes a belt pack that is made of metal, not plastic, and it includes much better 215CL isolating earbuds. The system consists of three pieces, the aforementioned 215CL earbuds, the P3RA belt pack and the P3T transmitter. If you decide to cheap out (it’s only 100 bucks difference, don’t cheap out) you get the P3R receiver and the 112GR earbuds. They are OK. But the higher-end package is so worth the extra Benjamin that… Like we said before, don’t cheap out. The system operates in the 500 MHz band. Actually there are three options—the G20, H20 and J20—that cover the space between 488 and 590 MHz in 24 MHz chunks. This is important. You get one chunk that is 24 MHz wide and where in that wider range your chunk lies depends on which band you buy. 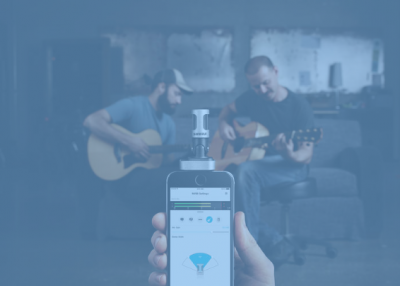 Shure has made that decision really easy with a tool on their site that allows you to put in your city or ZIP code and see what frequencies are most open in your area. This doesn’t help those of us who travel for gigs that much but, especially for local players and singers, it is a valuable tool that will help make what can be the hardest (and to many musicians, undecipherable) decision in buying any wireless gear—matching a unit to frequencies that you can actually use—nice and easy. 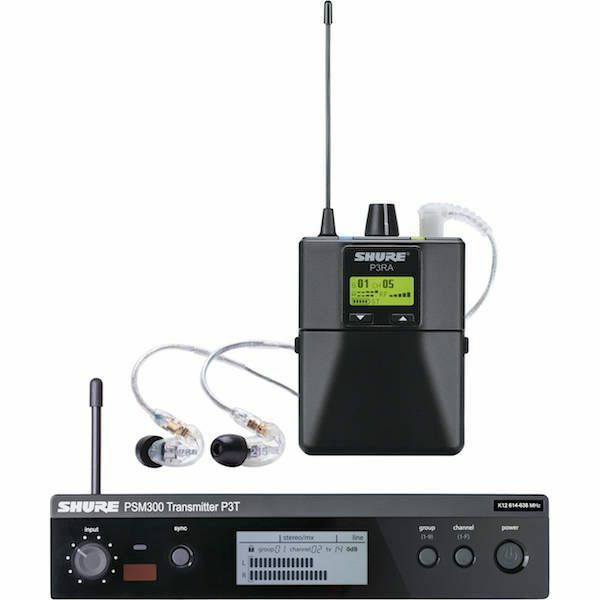 Like any in-ear wireless system, you basically get a pair of inputs on the transmitter which can loop out to another unit but the PSM300 has some important differences that make it really well-suited to musicians who are not also audio engineers. 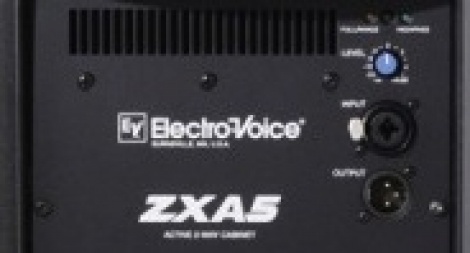 The inputs are 1/4”, not XLR. The audio geek side of me wasn’t happy with that when I opened the box. But after I used it for a gig and passed it along to one of the guys in my band to try, I was able to take a step back and realize that for guys like my bandmate, 1/4” makes more sense. Especially for singers who play an instrument and may not have a PA with a ton of Auxes for monitor mixes. Or a lower end, possibly analog mixer with only 1/4” outputs for those Auxes. I have been a big believer in the use of in-ear monitors—for singers especially—for a long time. I have spent a lot of money to have several sets of transmitters and receivers in my live rack for myself and a few others in the band. The last few years have been super frustrating. I have the gear and have been using the Presonus RM32AI as a mix system which gives me a whopping 16 Aux sends so I have enough to literally provide a stereo in-ear mix for every person in the band. And they are having none of it. Horn players appear to be morally opposed to in-ears. Singer and bass player who sings hate anything in their ears. I have VERY slowly made some headway. Mostly by recording gigs and showing singers their pitch issues when they are on just wedges. We do a lot of three- and four-part vocal harmony and one person being a little flat can make the whole vocal sound like crap. I have had some help from the sound engineers at a couple of venues we play. They love us all on ears because it keeps stage volume down. And when you are in an 8-piece band with a horn section, stage volume is a constant issue. At this point I have the trumpet player on ears, myself, the drummer and—just recently—the keyboard player who sings backup and two or three leads a night. So we are halfway there. Because the keyboard player is pretty stationary, he was using actual headphones and an Aphex HeadPod headphone amp driven by a mix that I sent. But the real danger of a setup like that became reality on a gig a couple of months ago. 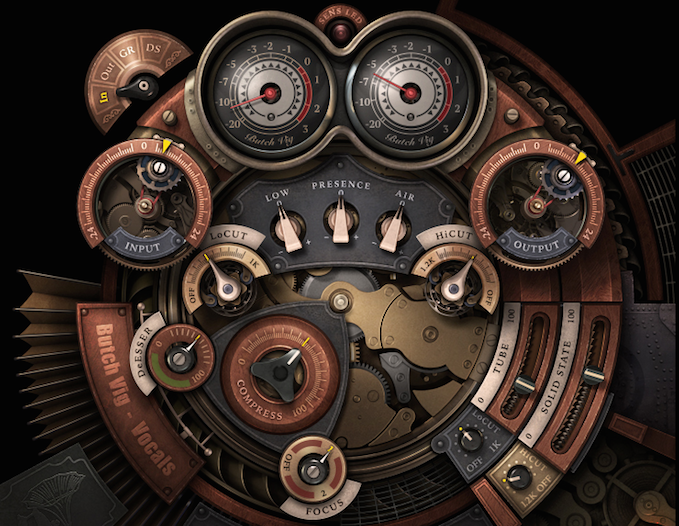 When you have a mixed system of ears and wedges onstage, it is crucial that everyone on ears has a limiter in-line or built-in to their system. That HeadPod does not have one and we were trying to get monitors sorted on a gig and got hit with a blast of feedback from one of the wedges when the system came up to volume. It was physically painful for Bill, my keyboard player. After that, when I told him we had the PSM300 coming for review and that it had a limiter built-in, he jumped at it. I was the first subject. Gig was a five-night run at the Casablanca in Mesquite, NV—a venue we use often for reviews. I got the box from Shure just before I left for the gig and brought it along. For the first couple of nights, I used the system that I have mounted in my PA rack as normal and switched it out for the PSM300 for the last two nights of the gig. I was thankful that I carry way too much stuff—I am of the philosophy that I would rather have it and not need it than need it and not have it—so I had XLR-to-1/4” adapters. Popped those onto the XLR lines that I removed from the rack and plugged in to the PSM300 and I was ready to go. Turned it on and hit the Scan button to let the transmitter find a clean frequency and then the Sync function to pair up the transmitter and receiver. I even used the 215CL earbuds instead of my customs. This is one of the places where the PSM300 using 1/4” inputs works well. His keyboards feed into a rack-mount, older Alesis line mixer and the outputs are all 1/4”. So if he is really focused on hearing himself, he can use that same MixMode and make one of the inputs a feed off his keyboard mixer and the second one a vocal heavy feed coming from me. If you are a guitar player, you can do the same thing. 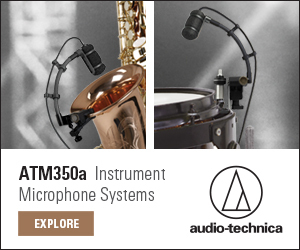 If it’s an acoustic, plug right into the PSM300 and then loop out to the PA. If it’s an electric, use the FX loop on your amp to feed the PSM300 then loop it back out to your amp and take an Aux that’s vocal heavy if you sing or that has whatever you normally want to hear if you don’t sing. What this approach does is allows you to have a pretty instant “more me” mix. The final subject was guitar god with the Vegas-based Voodoo Cowboys, Matt Woodward. His experience with the system is on video and will be posted in the next few days. At a list price of $799, the PSM300 is the highest-quality and most affordable option for in-ears that is seriously aimed at musicians and not engineers that we have ever seen. Street price is closer to $700 bucks and at least one on-line retailer is offering 0% interest for several years making for about a $15 a month payment. Even if you are only doing a gig or two a month, at that kind of outlay, this is a no-brainer solution for players and singers who are finally ready to 1) be able to really hear onstage, 2) save their hearing and their voices (being able to really hear means most singers do not push as hard and end gigs with less vocal fatigue than singers who insist on staying with wedges and, 3) stop contributing to the onstage volume arms race.